I miss you, just cant admit right now. 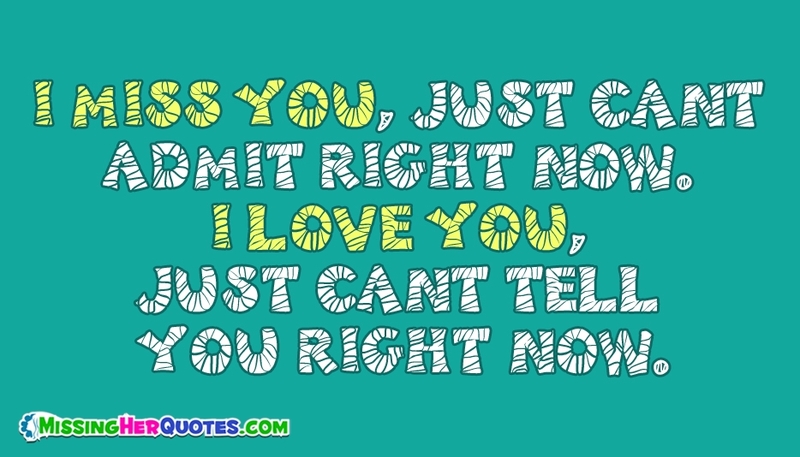 I love you, just cant tell you right now.. I Miss You, Just Cant Admit Right Now. I Love You, Just Cant Tell You Right Now.